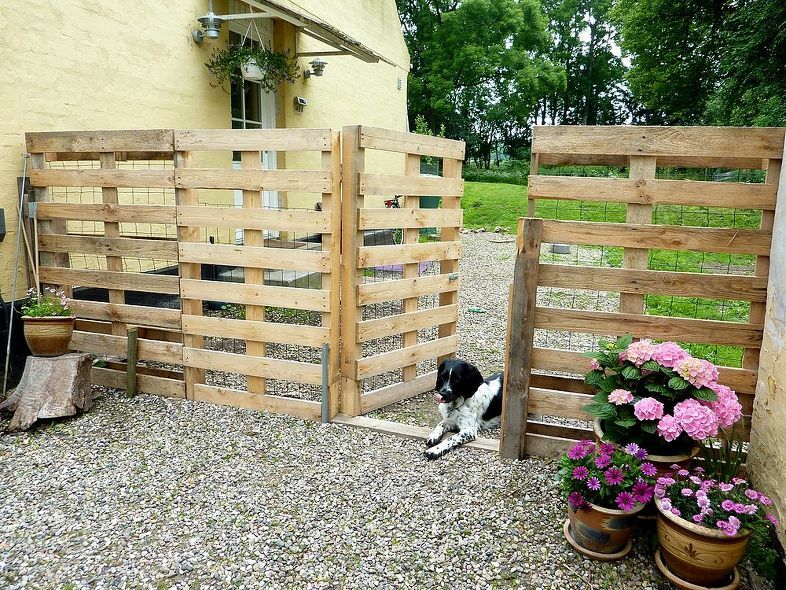 Why are pallets such a big deal lately? Probably because they’re so easy to get a hold of, and so versatile to work with. 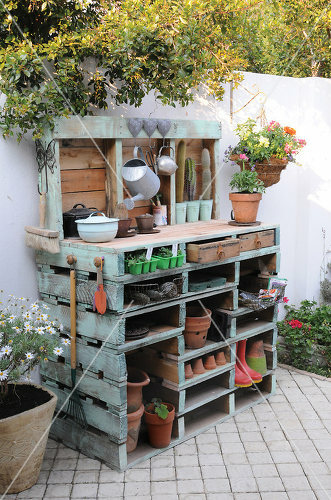 Not to mention, the wear and tear on most pallets actually adds to its charm. Most warehouses have a massive pile of these things laying around, but in some cases you may have to befriend some of the staff in order to snag some that are in better condition. Another great place to look is near construction site dumpsters, as they’ll often get in shipments and then toss out the pallet. Either way, you’ll be going on an adventure to find a few so you can begin your new outdoor project. Let’s just chill for a second. 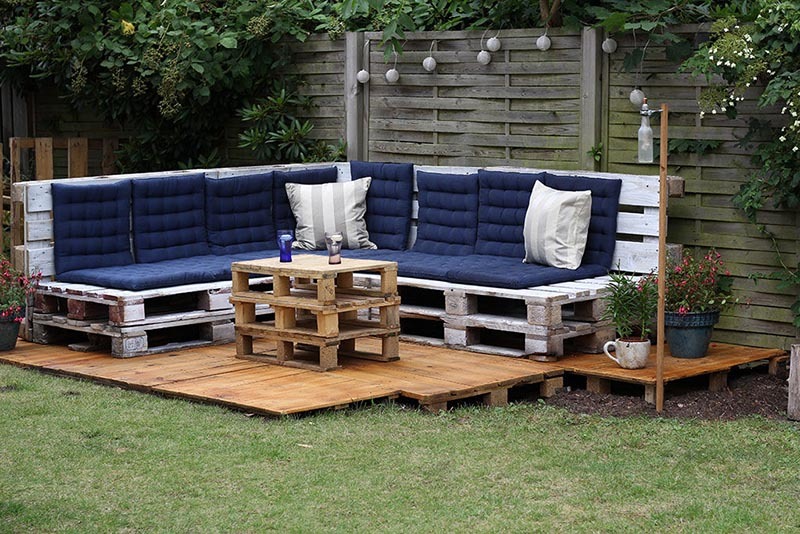 Pallets come in all shapes and sizes, and they’ve cleverly used a few different sizes to make this chill lounge. A coat of eye-catching blues, and some cushions and you’re in business. 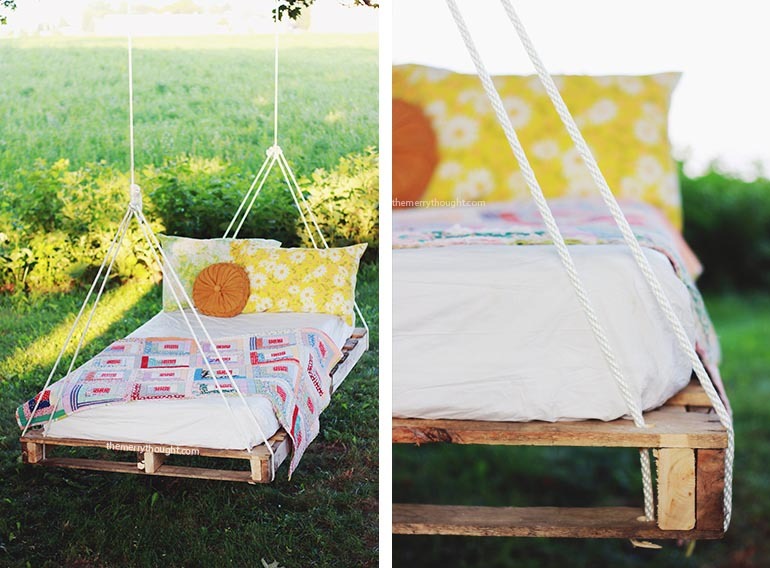 I bet you never thought of turning a pallet into a swing. But pallets were made for shipping heavy items, so why not a few humans? Of course, make sure your rope and tree branch are strong enough or your swing session may end poorly. Ahh this is what I love. Simple and beautiful. Peeling apart some old pallets usually leaves you with a pile of reclaimed wood. Often times this wood has already been treated to resist the weather, so it’s perfect for a walkway through the garden. ​Here’s a project that requires minimal setup. 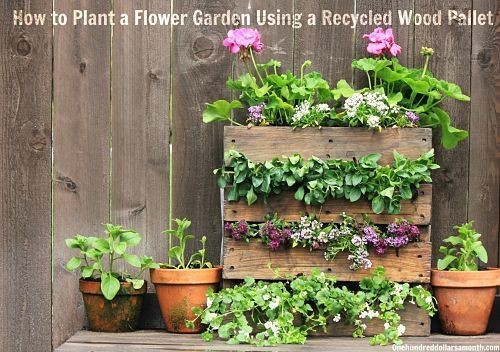 A pallet is already assembled perfectly for your flower garden, and it only requires you to set it up along your home or shed. 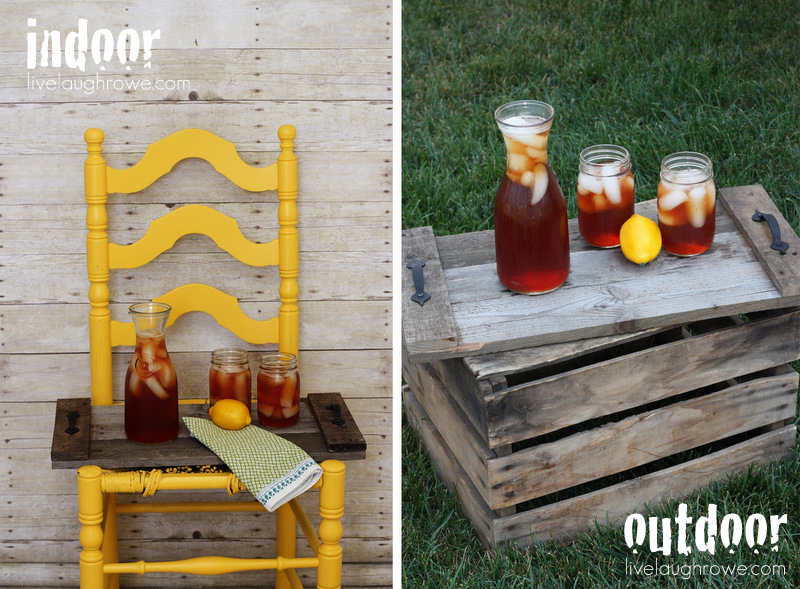 Now we’re getting into some creative uses for pallet wood – so how about a drink? By screwing together a few pieces and attatching an old door handle you have a cute little tray. 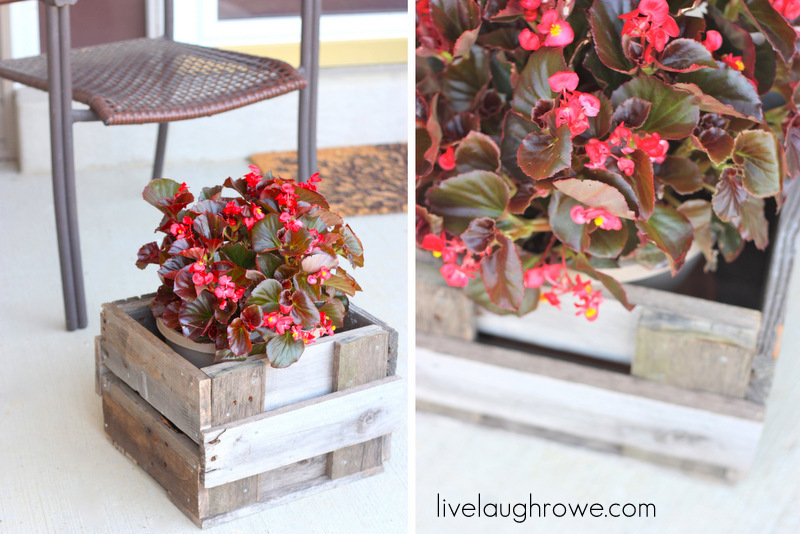 Pallets come in all sizes, and in some cases you can snag a cute little pallet, perfect for a small garden or if you’re living in a condo. ​This might look a little complex, but it’s really easy (if you have some tools handy). 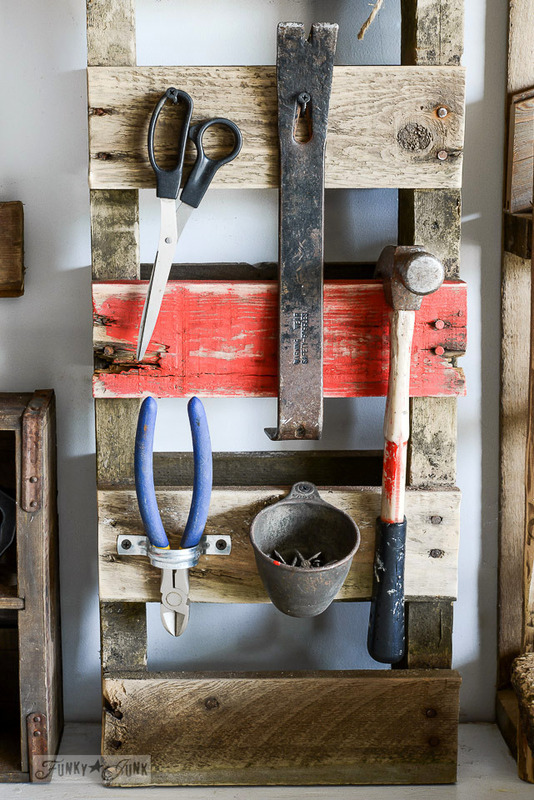 You’ll need a mitre saw, hammer, ​some nails, and (of course) an old pallet. With one pallet you can make a bunch of these cut planet boxes. Another swing set! But this is for those extra large pallets so you can sprawl out and have a beautiful backyard nap. It’s like a hammeck but without that awkward part of getting in and out. Wow, now we’re really getting into pallet town. Here’s an entire outdoor lounge, and if you look closely you’ll notice how simple the entire setup it. 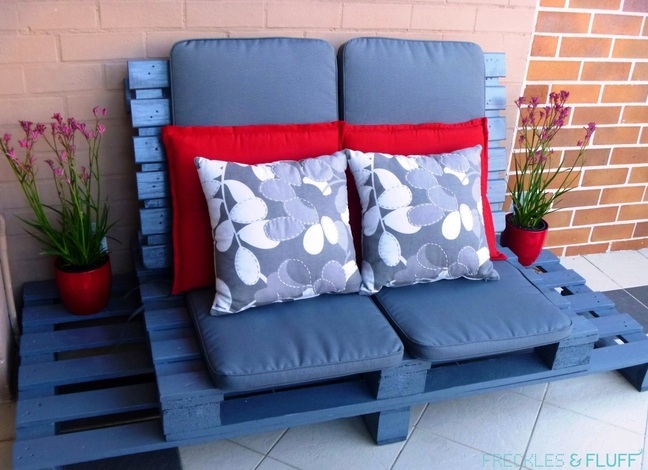 Really all you need is some pallets (duh), and some cushions. 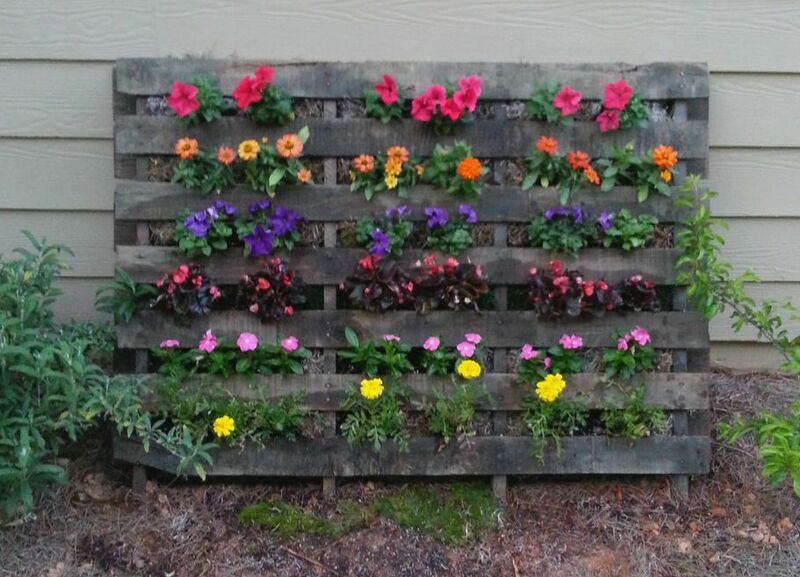 Yep, another pallet garden, these are are pretty popular. 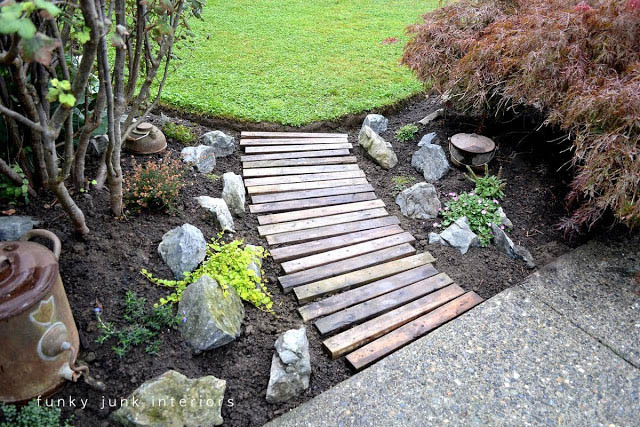 There’s nothing wrong too many of these, and it’s nice to compare instructions to see every unique approach to building a pallet garden. 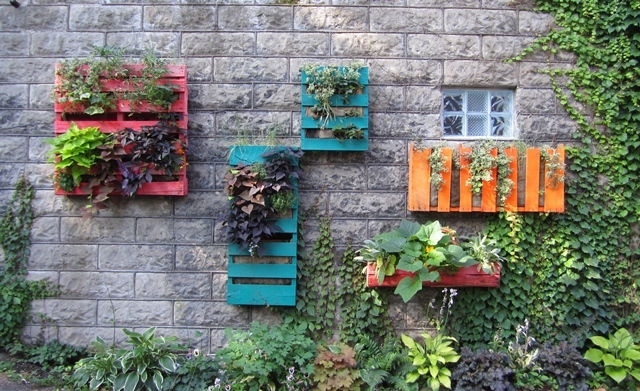 ​Hey, another pallet garden, but with a key difference. Pinning them to the wall and arranging them in different ways (and different colors) ​adds color to an otherwise plain ​wall. 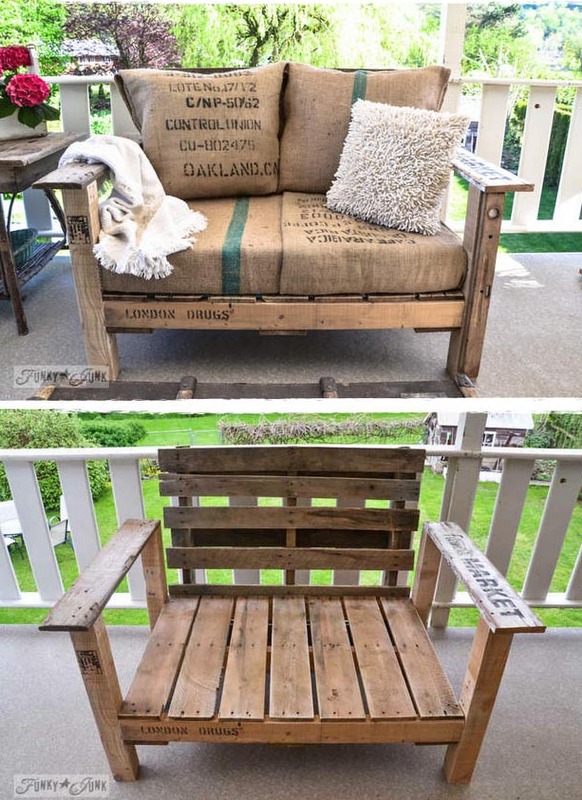 This chair is fantastic, I love that the original labels are left on display, and those burlap pillows that look like potato sacks! Having a few of these on the front porch with some rustic lighting effects would create a perfect patio scene. ​Here’s something truly unique, and a little more challenging. 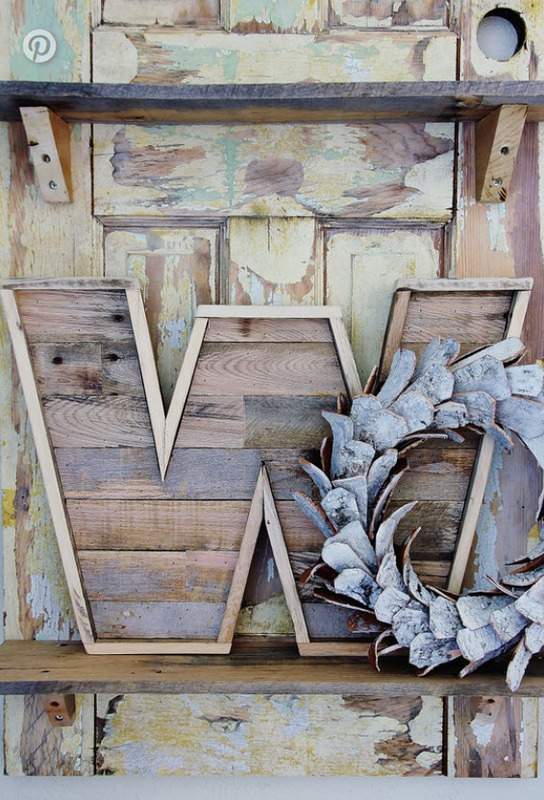 If you’re looking to draw from your inner carpenter, the wood letter project requires a little bit of precise work, but results in ​a beautiful wood letter. Maybe not a fully outdoor project, but still ideal for to hold gardening tools in the shed or greenhouse, so I think it still counts. Besides, it’s such a neat project that I had to add it to the list. 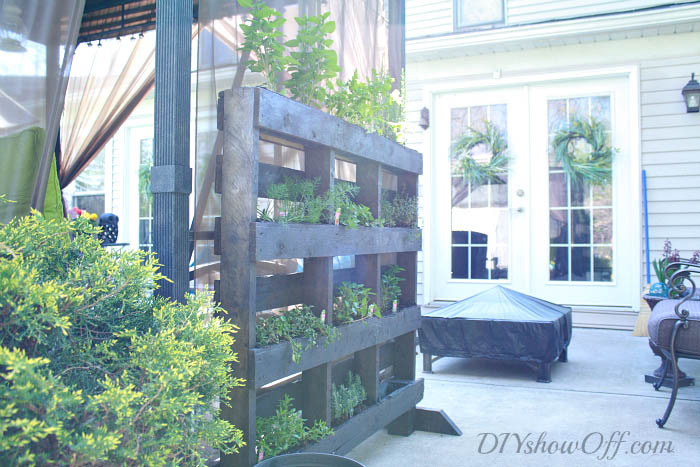 We’ve had plenty of pallet gardens on this list, but this is the only free standing one. 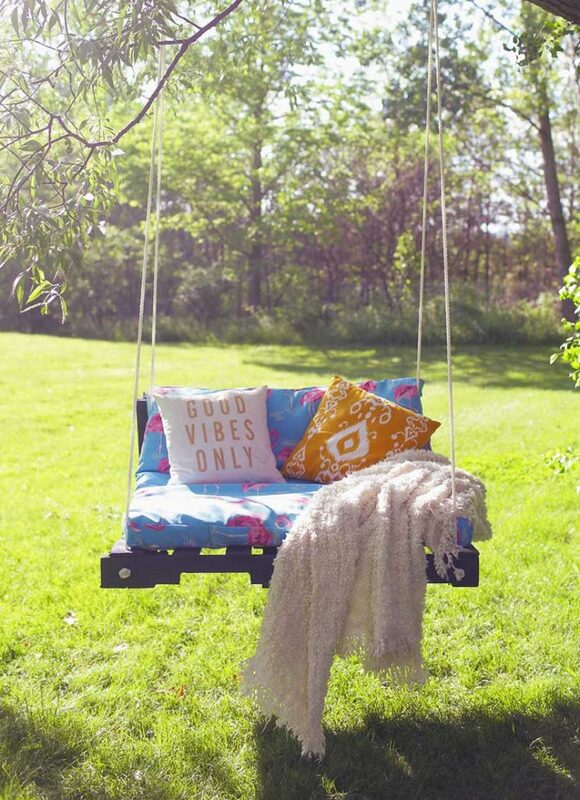 So you’re free to place it anywhere in your garden space. Did a mention the special feature? Wheels! For super easy transportation. ​Where do I even start? For one, this is amazing. It’s so clever and cute and would be perfectly suited for any avid gardener. Not to mention it can withstand the weather, and the wear and tear would just add to its weathered charm. Wow. This is next level, and just the beginning of you building your pallet-kingdom (along with your pallet throne). 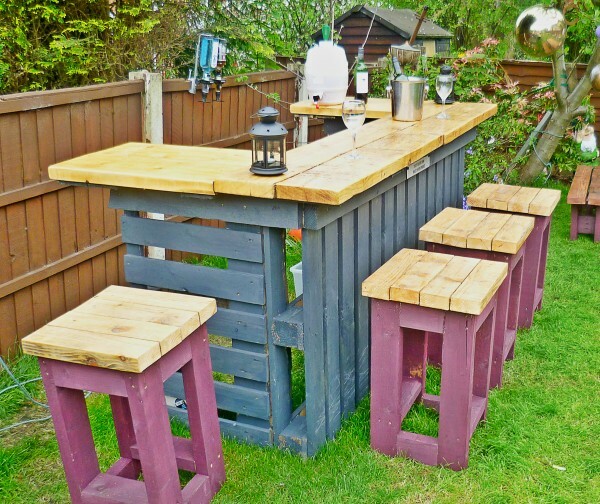 The colors is what really makes this backyard bar standout, and great for entertaining guests. The title says it all. Build a fence, and pay basically nothing for it. A ton of warehouses have spare pallets that you can snag if you ask nicely enough. Important note however, you’ll need some posts or something stable to hold up your fence, otherwise it will eventually succumb to wind or any kind of strong force. You’ve got big garden projects on the go, but you need a work space… but, you need to save on space. Here’s something you probably didn’t think of: a collapsible ​work table made from pallets. 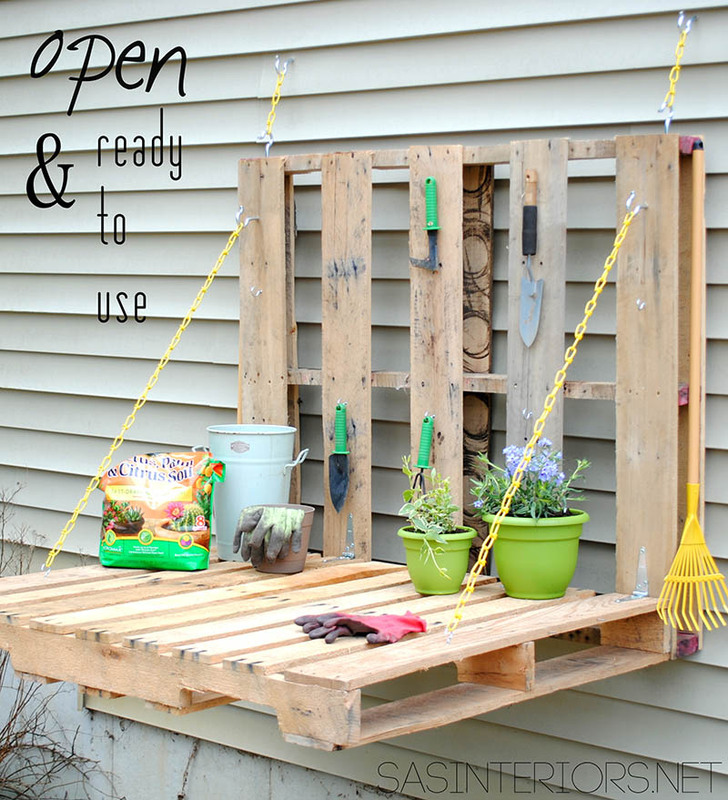 A few hinges and chains and you’ll be all set to garden mastery. 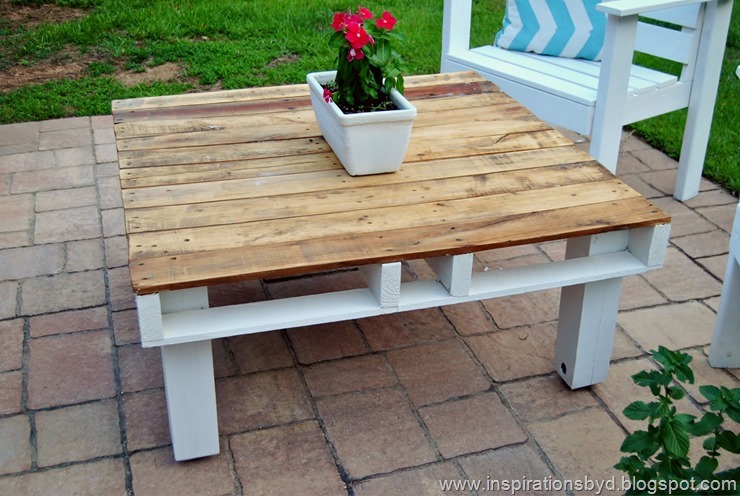 Of course we couldn’t complete this list with a pallet coffee table. What’s most important on this project is the beautiful finish, which requires a little extra work but results in an absolutely gorgeous piece. 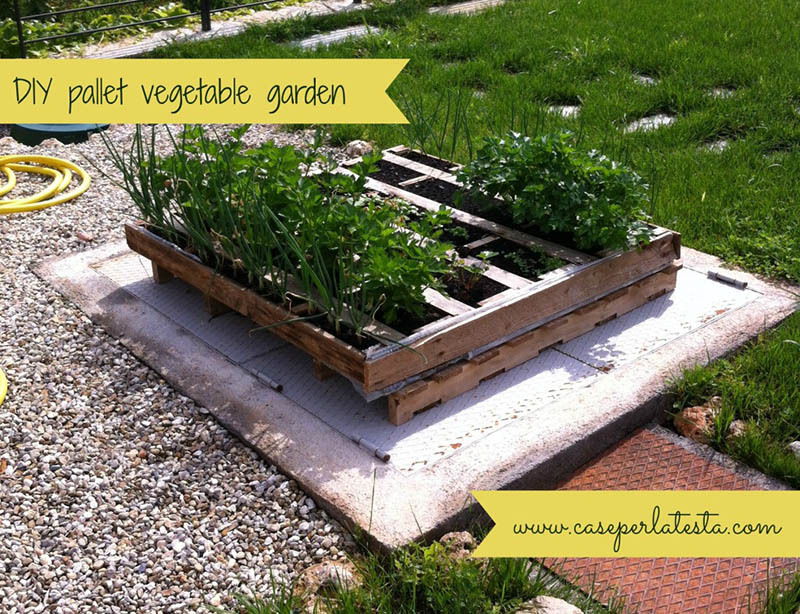 We’ve included quite a few garden projects, but here’s something a little more simple but perfect for keeping a few plants. 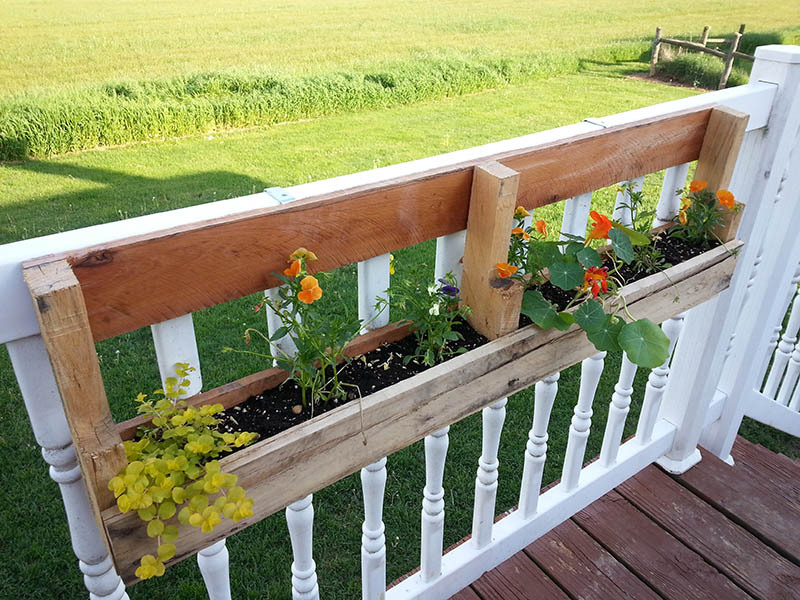 Cats, rabbits, and other curious creatures love to go digging through gardens, so having a flower box like this might save you some frustrations. Not to mention that in full bloom it will add so much colour and life to your patio. Looking for something super simple? 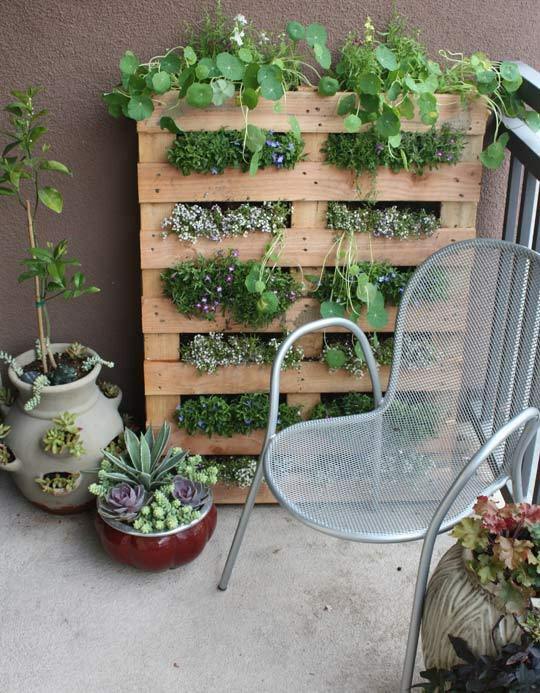 This is literally just a pallet with a garden in it. But still incredibly useful. ​We end off with not one, but an entire set of patio furniture made from our favorite material in the world (pallets of course). 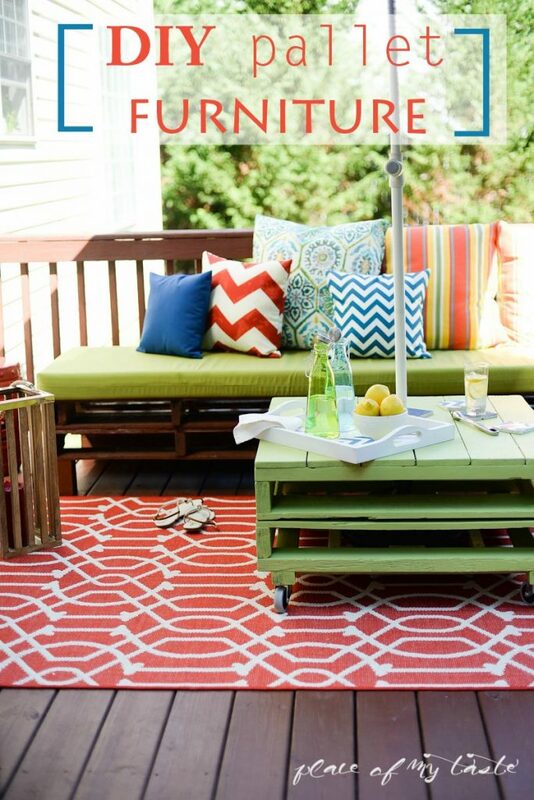 Benches, coffee table, and garden box… here’s the real deal if you want to transform your patio into a comfortable pallet getaway.